DJ Skribble is an Italian-American DJ, producer, remixer, radio personality and actor. In the early 1990s, he teamed up with Kamron, ATA, Firstborn and Tommy Never in Young Black Teenagers, who released two albums before splitting up. In 1996, he worked with Bill Irwin on the musical Hip Hop Wonderland. He also worked on Wyclef Jean’s first album, as well as with another Fugee, Lauryn Hill. Skribble has released several mix albums, including two volumes of Traffic Jams, two volumes of MDMA, Essential Dance 2000 (on Atlantic Records), Essential Spring Break and Skribble’s House (both on London-Sire Records) and Perfecto Presents: DJ Skribble (on ThriveDance/Perfecto Records). Skribble has also worked on MTV’s The Grind, Total Request Live, Spring Break, Hip Hop Night and the Millennium Special Live. He has appeared several times on various radio and television shows, and appeared in the 2000 film Turn It Up, credited as ‘DJ’. Skribble was also a judge for the 8th annual Independent Music Awards to support independent artists. 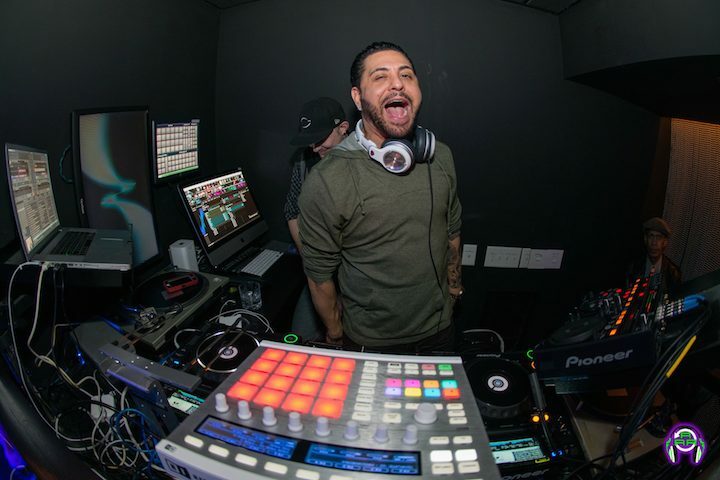 DJ Skribble appeared on New York City radio stations such as Hot 97 for two years and worked for WKTU for over eleven years. He is currently a resident DJ at the MGM Grand Hotel and Casino in Las Vegas.